Barbara Kingsolver’s epic novel, The Poisonwood Bible, has five alternating narrators. During her revision process, Kingsolver wrote scenes from the point of view of each and every one of those characters. Later, Kingsolver chose which voice was right for each particular scene. And this was a 500+ page novel. Can you imagine? Yep, that’s the tip I’m recommending, but on a much smaller scale. Do you have a rough draft that feels kind of flat? Are there actions/dialogue/scenes that don’t quite ring true? Do you have characters who are only two-dimensional? Try writing some of the scenes from that under-developed character’s point of view. In my work-in-progress, I discovered that the boyfriend spoke and acted differently when I wrote from his perspective. For example, in one of my original scenes, he responded passively when his brother was rude to his girlfriend. I had been primarily focused on my female protagonist’s actions and emotions. But in the scene rewritten from the boyfriend’s POV, he jumped up and told his brother off. Now, I need to decide if I want to keep the alternating narratives in my story, or fold these new scenes into my old scenes for richer characterization. Of course, if you have Pulitzer Prize aspirations like Barbara Kingsolver, go ahead and write each and every scene from multiple points of view. Good luck with that! Today I’m so excited to interview Tessa Gratton about her debut book, BLOOD MAGIC. I loved the unique and dark magical system Tessa created in her book. And on July 18th, I got to meet Tessa at her book signing with Maggie Stiefvater in Novi, Michigan. That was such an awesome experience and a highlight of my summer. Welcome Tessa. Thanks so much for joining us. 1. Your biography at the back of your book says that you wanted to be a paleontologist or wizard since you were seven. And that you were born in Japan and traveled a lot as a kid. I wish being a wizard was a profession too. How has your childhood and your love of fantasy influenced your writing? The traveling was the biggest influence, I think – partly because moving around forced me to turn books into my best friends. I needed them, and even as an adult remember to strongly what it was like to yearn for a good story or amazing characters to keep my company. But on the writing level itself, traveling gave me the gift of experience and adventure – maneuvering in countries with different languages and cultures teaches you to understand people on all kinds of levels. It taught me especially to be curious about people and to empathize. 2. I turned to books for a different reason—I was incredibly shy. I bet you learned a ton about people from all your travels. I found the magical system based on blood to be very unique and kind of dark. What made you decide to base your magical system on this and is it influenced by any magical systems you researched? Magic needs to have consequences, and I wanted my magic to be fixed to something hard. Blood is an important part of so many real-world mythologies and magical systems, that it was a natural place to start. Everybody has blood, but you have to make tough choices to access it. 3. Both Silla and Nicholas live in non traditional family situations and have parents with dark pasts. How did you decide to develop this and its relation to the main plot? The magic is tied to blood, and besides eternal life, the thing blood symbolizes most in our culture is family ties. 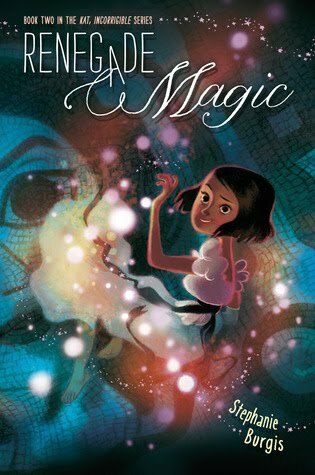 I wanted the story and the magic to be about family, about family history, and how power/ambition can follow kids from their parents. 4. You wrote the story from three POV characters—Silla, Nicholas, and Josephine—and all have distinctive voices. Did you have any challenges doing this and what advice do you have for authors wanting to try this? It was tough sometimes to keep everything balanced, but in general I think multiple POVs is easier than a single POV, because you have more options. I worked hardest on making the voices sound separate during revisions – even up through the final round of copy editing. I recommend being sure you know how your characters would talk, and choose specific rules when you start out for how they’ll do things differently. Those can be fine-tuned as you go, but if you know that Silla uses lots of metaphors and Nick talks in shorter sentences, that can be a good place to start. 5. That’s really good advice to focus on making the voices sound different and to go beyond the words they might frequently use to the manner of how they talk. I read that you did not outline until after you wrote your first draft. Can you tell us how you outline and why that works for you? I use outlines as a way to rearrange the pieces that I’ve already written – when drafting I need to be free to explore crazy other options, but revision is when everything gets tightened up and organized. I prefer notecards and character arc outlines. 6. You’re critique partners with Maggie Stiefvater and Brenna Yovanoff. Tell us a bit about how that came about and some advice on how you help each others as critique partners that we should follow in our own critique groups. Well, really we just met on the internet and started working together! It takes a lot of trial and error to find your perfect CP match. I tried in person groups, online groups, and critiqued for about 20 people before hooking up with Maggie. She introduced me to Brenna, and the rest is history! Don’t settle, either – and be honest all the time. 7. So cool how the Internet can lead to friends. You watched Maggie’s success once SHIVER came out (an awesome series BTW) and Brenna debut. How did their experiences influence your own marketing plan and tell us a bit about what you’ve done to market your book? I don’t do a lot of marketing myself – not beyond my web presence. 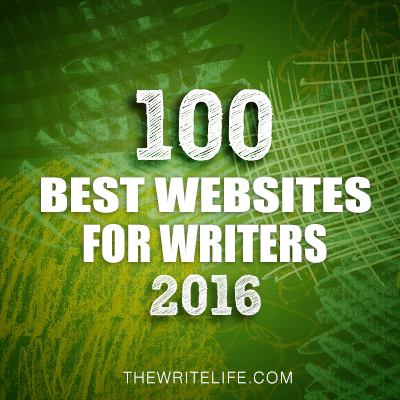 I’ve got my website, and I blog because I love it. I had bookmarks designed, but those are for me to give out when I go to conferences or libraries or bookstores, not for any big marketing plans. 8. Your agent is Laura Rennert. Tell us a bit about your road to publication. I’ve been writing since I was a kid, but took it seriously starting in high school. I broke up with it in college, but then after leaving grad school started writing again with the intention of making it my career. I wrote a book, queried about 5 agents, and after they all rejected my book, I wrote a new book, queried 5 more agents. They rejected that book, too, so I wrote a third book and that was the proto-Blood Magic. I only queried Laura that time, and she loved it, and signed me up! My philosophy was that if I wasn’t getting the agents I wanted, then my book wasn’t ready. 9. That’s so awesome how you kept going onto a new project. What are you working on now? Can you tell us anything about your secret project that I’ve read you’re working on? I can’t! Sorry! It’s all top secret for a while longer. What I can tell you is that there’s a companion novel to Blood Magic coming out next spring called THE BLOOD KEEPER. It takes place 5 years later, with new heroes, but most of the characters from Blood Magic will show up, as well as some of the more mysterious ones like Nick’s mom Donna and the Deacon. That's okay. Can't wait for the companion novel. Thanks Tessa for all your great advice. Good luck with your books! 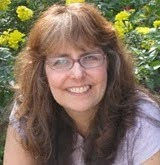 You can find Tessa at her website, blog, and Merry Sisters of Fate. I’m giving away one signed copy of BLOOD MAGIC. All you need to do is be a follower (just click the follow button if you’re not a follower) and leave a comment by midnight on September 10th. I’ll announce the winner on September 12th. International entries are welcome. 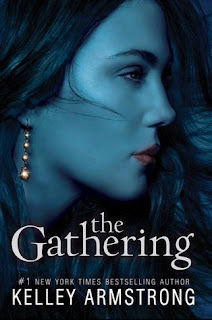 And don’t forget you have until midnight on September 3rd to win a copy of THE GATHERING by Kelley Armstrong here. I’ll announce the winner on September 5th. On September 12th, I’ll be interviewing P.J. Hoover and giving away a copy of her new YA book SOLSTICE. Enjoy your last week of summer and see you next week! Today I have a Tip Tuesday / guest post on exposition by the lovely Laura Lascarso. Laura has written a number of things for Lit Rambles including tips #66, #69, #83, #94, and the guest post "Will You Be Mine?" featured in February. She also has a debut YA coming out August 2012 called COUNTING BACKWARDS that I can't wait to read. Check her out! I love writing exposition, but I hate reading it. Too much exposition kills the tension and pacing of the story. And it wastes a reader’s time. It’s like having to eat all the weird little fortified bits in my Lucky Charms before getting to the marshmallows, like wading through lumpy gravy to get to the meat, like…you get the picture. But, says my writer self, the scene with the unicorn won’t have any meaning if the reader doesn’t know about the princess’s deep-rooted fear and loathing of the mythical creature. Maybe true, maybe not. Perhaps it would be more gripping if, instead of embracing said unicorn, the princess were to pick up the nearest blunt object, intending to bash it over the head, leaving the reader to wonder if the princess was in fact, a crazed unicorn slayer. Now we have micro-tension. This is to illustrate the internal dilemma on what to include and what to leave out in terms of exposition. To help my writer self be more objective about deciding, I’ve employed this strategy. First, I open a new document called EXPOSITION. In it I say everything I want about my main character. Every little thing—fears, loves, dislikes, nervous twitches, strange affinities, familial relationships, life-altering moments. I do the same with lesser characters if I think it will be relevant later. This is also a good exercise in warming up to my characters and getting to know them on a more personal level. In some of my earlier stories, this document was also known as Chapter 1. Then, I begin my story with the assumption that the reader knows everything I’ve just written about my characters. For my opening scene, I try to really focus on dialogue and action/reaction, sneaking in tiny bits of character revelation and backstory where I can. As I write my story, I try to weave in pieces of exposition where it is relevant. That last bit is key, because there is always the urge to write something like, the princess looked up at the cloud, which was shaped like a unicorn, the same one who gorged her elder sister just a few weeks ago. It’s too easy to look up at the sky and have a flashback. Save your big reveals for places where you can garner the most possible tension. You will probably find that you only needed a fraction of the exposition you originally wrote. That’s a good thing. It means you’ve found other ways to convey your information in a show, don’t tell fashion. Or it could mean that your character is so strong that the reader doesn’t need to know the lesser details. If you’re still unsure about what exposition is needed, you can give your story to an astute beta reader and then ask them if they think such and such is important to the story or if they could have done just as well without it. We writers often tend to over-explain ourselves, which gives the reader the impression we don’t think they’re smart enough to figure it out on their own. But readers are smart. Way smart. One last bit of advice—save some exposition for later. Many novels drop off in character development after a hundred or so pages, perhaps because the author has nothing left to reveal about their character. Save a few secrets. They’re good for both tension and plot twisting. And that’s how I deal with the exposition blues. Have you ever had them? Feel free to strum your guitar and lament. First, I want to thank Casey so much for all her hard work in organizing the awesome WriteOnCon conference. It was even better than last year. There was something for everyone—picture book writers, illustrators, middle grade authors, and YA authors. She along with Elana Johnson, Shannon Messenger, Lisa and Laura Roeker, and Jamie Harrington worked so hard to bring us this amazing FREE conference. Thank you all. And a very special thanks to Casey. Did you know WriteOnCon was her idea? I read this when she was interviewed on Publisher’s Weekly Children’s Bookshelf last year after the conference. I’m so glad she followed up on her idea. Next I want to announce the winner of PETER NIMBLE AND HIS FANTASTIC EYES. Congrats! E-mail me your address so your book can be sent to you. Today I’m so excited to interview Kelley Armstrong. I met Kelley at a book signing for THE GATHERING in Ann Arbor. She is SO NICE to her fans! After her awesome talk, everyone got to meet with her for a few moments alone while she signed their book. 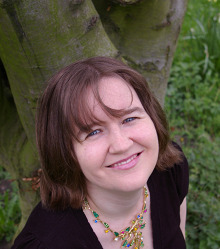 Kelley is an incredibly successful author of both adult and now YA novels. She has over 12 books in her adult Women of the Otherworld series, 3 books in her YA urban fantasy Darkest Power series, and also writes the Nadia Stafford crime series. 1. Tell us a little about yourself and how you became such a successful author. I’m the auth or of the "Women of the Otherworld" paranormal suspense series and "Darkest Powers/Darkness Rising" young adult urban fantasy series, as well as the Nadia Stafford crime series. I grew up in Southwestern Ontario, where I still live with my family. I’m a former computer programmer, but I have escaped my corporate cubicle and hope never to return. How did I become successful? I have no idea! Luck and timing, I think. I kept writing through countless rejections, until I finally produced something that was publishable. By that time, paranormal fiction was picking up, and I was lucky enough to ride that wave to success. 2. Whatever you did to become so successful, I wish I could too. Maya, the main character in THE GATHERING is adopted. I love how you developed her adoptive family and her comfort zone with her adoption. As an adoptive mom, I have to say THANK YOU because this type of family is so infrequently portrayed accurately. What made you decide that she’d be adopted and how did you nail her family situation so realistically? Having her be adopted solved a few problems with her backstory. I can’t say too much about that, because it would be a major spoiler, but let’s just say that if these were her birth parents, they’d be responsible for something that was done to her, and that would have added a layer of conflict that I already dealt with in the Darkest Powers trilogy, with Chloe. Here, I wanted to avoid that. I also wanted to show a solid, loving adoptive family. Growing up, I knew a few kids who were adopted and they all had wonderful experiences. I don’t see enough of that in fiction. 3. I so agree adopted kids are under represented in Middle Grade and YA. Thanks again for so accurately portraying their (and my family’s) home life. I loved how you created the skin-walkers and Maya’s discovery of her connection to her birth mother’s Native American roots. Tell us a bit about how you developed that aspect of the plot. Choosing skin-walkers wasn’t an easy decision. I really wanted to use them, but I also knew, from years of paranormal research, that it’s a very touchy subject for the Navajo. It’s a part of their culture, and I needed to be sensitive to that. I decided, since I am not part of that culture, that the best way to handle it would be to separate my fictional version from the true beliefs by postulating two types of skin-walkers. Maya’s type became extinct, and were replaced by the traditional ones. Does that solve all the problems of cultural appropriation? No. But I’ve never limited myself to folklore from my own ethnic background and I hope that as long as I’m clear, in the books, that “my” version is a fictional one, readers will give me some latitude for creativity. 4. At your book signing you said that when you start a longer series you have an idea of where the first 3 to 5 books will go but don’t know how the series will progress after that. How do you plot out the storyline and how do you have confidence that you’ll know where to move the series after the books you envision? While I don’t plot past the first few books in a series, I usually have a very general idea of where it will end up. In other words, I know the endgame—which is where I am with the Otherworld series. I start sneaking in subplots and unresolved plot threads that will ultimately lead to that conclusion. The individual plots of each book, though, come as I reach that point. 5. It makes sense that you’ve got to know the end of the series to plot the subplots. And I’m guessing all your writing experience gives you confidence that you can figure out the individual plots to get to the end as you go. What made you decide to move from adult to writing YA books and have you found any differences in writing for teens rather than for adults? The move came from a couple of things. I had an idea inspired by my second adult novel, Stolen, but it was about supernaturals just coming into their powers, which in my world happens at puberty, which wouldn't work for an adult series. That idea was in the back of my mind as I began getting an increasing number of emails from readers I considered a little too young to be reading my other books! So I decided to give that YA idea a try. Two things surprised me. One, how little of a difference there was in the actual writing of the books. The YA are paced a little faster and the characters must be teens with teen issues, but otherwise, there's not much difference. Except for the second thing...the audience. Fantasy readers can become very invested in a series--quick to let you know what they like and dislike. But they have nothing on teens! 6. That’s so interesting the difference between the adult and teen audiences. Is your marketing strategy any different for your YA books than for your adult series and do you have any advice on marketing for the teen market? Marketing to teens is a little different, but with YA, a decent portion of the audience is adult, so the marketing of the series overall isn’t that different. I’m just more careful not to “forget” the teen component of the audience. For example, teens are more likely to be on Facebook than Twitter, so I make sure all the YA Twitter announcements are duplicated on the FB page. 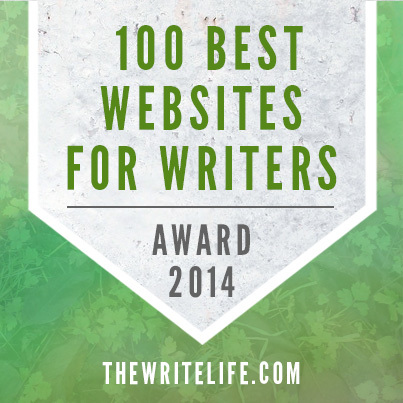 I also had a separate site done for the YA. All the books—including the YA—are on my main site, but I’m careful about not wanting to sound like I’m pushing my adult books on my younger teen audience. So those books have a separate site, too (www. DarkestPowers.com) which is the one the publisher uses in marketing. 7. You’ve really thought it out well. Not that I’m surprised. And I’ve heard that not as many teens are on Twitter so that’s smart to focus on Facebook. 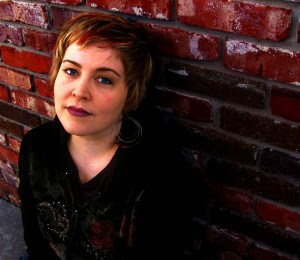 I read that Melissa Marr and you will be writing a new middle-grade trilogy called The Blackwell Pages about three 12-year-olds descended from Norse gods who have to stop the impending apocalypse. The first book, LOKI”S WOLVES, is scheduled for publication in the spring 2013. I can’t wait! How did that come about and what is or will the process be for co-authoring a book? Melissa and I both have teenage daughters, and we connected through that—our daughters each enjoyed the other’s YA books. We also both have preteen sons and we were keen to write something “for them.” As parents, we read and enjoy middle-grade fantasy and wanted to explore that, with the added bonus of trying co-writing. I think the process for every co-authoring pair is different in some aspect. What’s working for us is splitting the writing by narrative point-of-view. I’m taking the male protagonist and she’s taking the two secondary characters (cousins--a boy and a girl) We alternate chapters—I do one for “my” character, then she writes a chapter for one of hers. All the plotting and editing is shared, of course. 8. Do you have any other advice for us aspiring authors? Thanks so much Kelley for all your advice. I can’t wait to read your next book and definitely your book with Melissa Marr. You can visit Kelley on her website and at Darkest Powers. I’m giving away one copy of THE GATHERING. I was going to give away my copy from the book signing I went to but Kelley is SO nice that she offered to give away a copy as part of this interview. All you need to do is be a follower (just click the follow button if you’re not a follower) and leave a comment by midnight on September 3rd. I’ll announce the winner on September 5th. International entries are welcome. 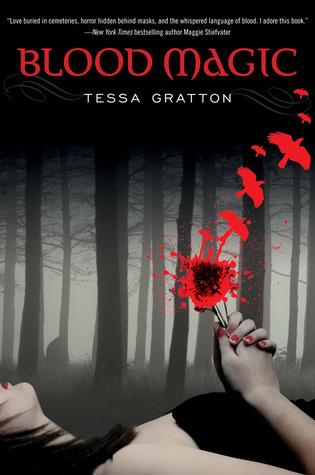 Next week I’m excited to interview Tessa Gratton and give away a copy of BLOOD MAGIC. Okay, you know I can't resist telling you to get thee to WriteOnCon today! Yes, our second annual online kidlit conference started this morning and runs through Thursday. You can see the full schedule here. It's completely free, easy to register for, and things are already hopping! Opportunity and knowledge abounds. 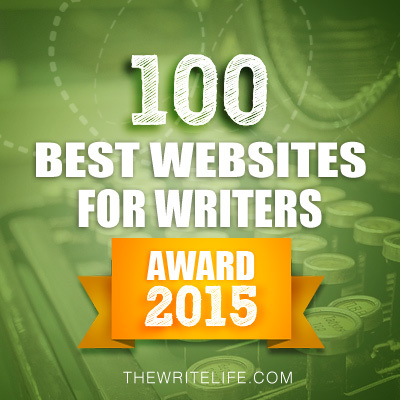 But I also have some great tips from Ryann Kerekes who blogs at Novel Addiction. So make sure you open a tab for Ryann's blog and skip over when you're done here. Here are her tips! 2. If you introduce a gun –it must go off. The concept known as "Chekhov's gun" is where an element is introduced, but its significance does not become apparent until later on in the story. It’s also important to remember that if you are going to take the time to introduce something to your readers, ensure it has a purpose later on and will be followed up on. 3. Kill Your Darlings. The concept of "Kill your darlings" is credited to William Faulkner. “Darlings” can refer to pieces of your writing that you absolutely love. Be careful of these. If you love a certain scene, it may impair your objectivity, and as a writer, you must remember that nothing is safe from revision when needed. “Darlings” can also refer to characters. Again, be objective, don’t be afraid to challenge them, kill off someone, make things tougher on them, etc. 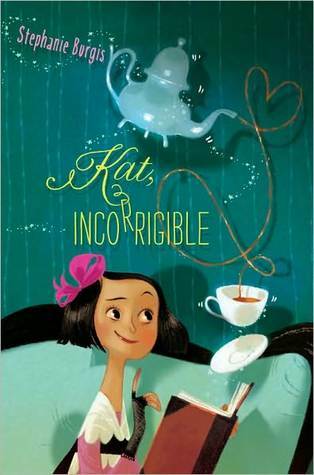 First I’m going to announce the winner of KAT INCORRIGIBLE. Sorry everyone, but I’m not posting an interview in my ASK THE EXPERT series today. I think my expert is on vacation and she did not e-mail me her answers. But this gives me the opportunity to share an awesome book with you that I just read. 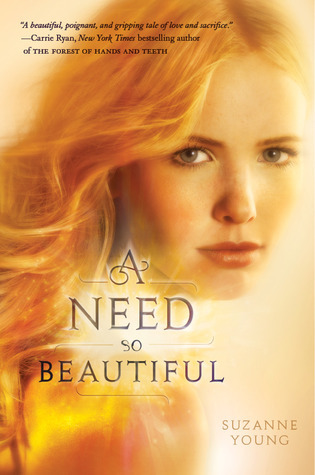 It’s A NEED SO BEAUTIFUL by Suzanne Young. I started it while on vacation last week. And if I didn’t get car sick while reading in the car, I would have finished it on the way home from Philadelphia. It was that good. Charlotte ’s best friend thinks Charlotte might be psychic. Her boyfriend thinks she’s cheating on him. But Charlotte knows what’s really wrong: She is one of the Forgotten, a kind of angel on earth, who feels the Need—a powerful, uncontrollable draw to help someone, usually a stranger. 1. The Need. Charlotte possessed such a unique paranormal ability. Yet it was based on something we can all relate to—the need to help others. 2. Charlotte’s journey. One of the things I found most riveting was watching Charlotte struggle with her desires for a normal teenage life as The Need took over her life. And the heartbreaking decisions increased as she learned about The Need and what it meant to be a Forgotten. 3. Charlotte’s relationship with Harlin. I found it refreshing that Charlotte and Harlin were in a long term, healthy relationship at the start of the book. And he’s such a sweet, sensitive guy struggling with his own family issues. I had to love him. 4. The End. I don’t want to spoil it for anyone, so I’ll just say that I didn’t see it coming. I really enjoy endings I don’t expect. I received this ARC from the publisher when she sent me another ARC for a later author interview. It was so nice of her to send it and I want to pass it on. So to enter the contest, all you need to do is be a follower (just click the follow button if you’re not a follower) and leave a comment by midnight on August 27th. I’ll announce the winner on August 29th. International entries are welcome. You still have time to enter my contest for PETER NIMBLE AND HIS FANTASTIC EYES here. Don’t forget WriteOnCon starts tomorrow. You don’t want to miss it! Find out all the details here. Next week I’m interviewing Kelley Armstrong and giving away a signed copy of her book, THE GATHERING. And the week after, I’m interviewing Tessa Gratton and giving away a signed copy of BLOOD MAGIC. I loved both their books and got the opportunity to meet both of them at their book signings. Tip #100! You know what that means? Tip Tuesday has been running exactly 100 weeks! 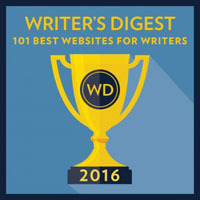 Sylvia Ney, who blogs at Writing In Wonderland, is the author of today's fantastic tip. It was originally part of a post she did on her blog including four other writing exercises, which you can find here, so hop on over for some fresh inspiration. 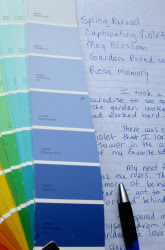 In this writing activity, you use paint chip samples to write a story. Paint chip samples often have unique and interesting names such as Western Sand, Basket Weave and Mermaid Tear. These names make the perfect story-starters to inspire creative storytelling. You may already be picturing a California beach picnic interrupted by a crying mermaid. All you need is pen and paper (or a computer) and a collection of paint chip color samples with interesting names (free at most paint and hardware stores – even Wal-Mart). Now, pick a few paint chip color samples with interesting names that you can use for storytelling. To make it more interesting, you can even try to pick random samples without looking at the names. Next, think about how you'd link the paint chip color names into a story. For example, I picked the five names of Heather, Skating Pond, Lavender Lipstick, Lovely Silken Ribbon, and Lucky Shamrock; then you need to think of a story that would use all of these words. You can free write from these ideas or you can use them as a model from which to start; one paragraph incorporating each word. For example, the first paragraph could introduce a character “Heather”; Heather might visit a skating pond in paragraph two; she might lose her lavender lipstick in the third paragraph; in paragraph four Heather tells her friend about the lovely silken ribbon she kept tied to the tube of Lipstick; a friend offers Heather her lucky Shamrock and she finds the lipstick in the fifth paragraph. Remember to make sure the paragraphs link together as a story. Once the story is finished, try reading the story aloud. Think about your use of descriptive language, new vocabulary, and assess the all-around creativity of your story. Today I want to let you all know that WriteOnCon is coming August 16-18. I can’t wait! In case you don’t know what WriteOnCon is, it’s an online three day conference where you can meet agents, editors and authors who have lots of valuable advice to share. It was founded by our own Casey. She and the other organizers of WriteOnCon created an even more awesome conference this year. 1. It’s free. No, I’m not kidding. I’d love to go to one of the National SCBWI conferences to meet a lot of agents at one time, but I really can’t afford it. 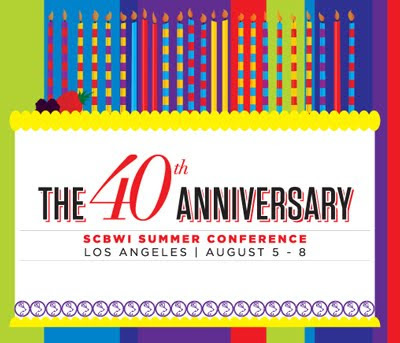 I love our local SCBWI chapter, but not many agents come to our conferences. So this is the best way for me to learn what a lot of awesome agents are looking for as I move closer to submitting. 2. 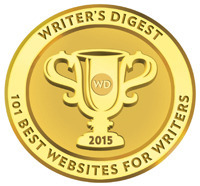 There are lots of live chats and discussions on the forums with agents, editors, and authors. Agents participating include Michael Bourret, Mary Kole, Holly Root, Joanna Volpe, Natalie Fischer, Marietta Zacker, and Sara Megibow, Steven Malk, and many more people you’ll want to learn more about. 3. One of the things I love about the live chats is that you really get to know the agents, editors, and authors through the online conversation. And if you’re lucky, your question will be answered. 4. In the forums, there will be question and answer sessions, pitch sessions, and most likely sessions where agents give their gut reactions to submitted queries. And you can post your query for critique by participants and maybe even an agent. If they’re really interested, they may ask you to submit. 5. Don’t have time to attend all the events? There’s nothing to worry about. You can go back and read the transcripts. I know I’ll have to for some of the events because I’ll be at work. But I plan to catch whatever I can. So what are you waiting for? Go to WriteOnCon to find out all the details. 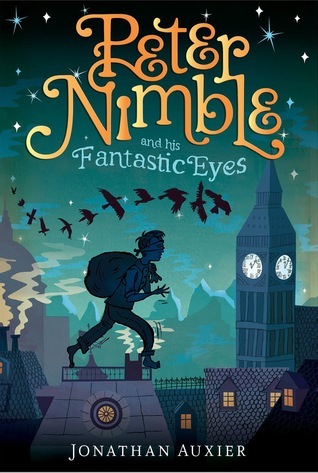 On Wednesday, I'm doing an interview with debut author Jonathan Auxier--his birthday--and giving away a copy of his book PETER NIMBLE AND HIS FANTASTIC EYES. I wish I could enter the contest because I really want to read his book. Next Monday, I'll be interviewing a teen in high school for my ASK THE EXPERT SERIES. And on August 22nd, I'm so excited to interview Kelley Armstrong and give away a copy of her book, THE GATHERING. Hope to see you on Wednesday and next Monday! First I'm going to announce the winner of THE LIPSTICK LAWS. Today I’m so excited to interview Stephanie Burgis. 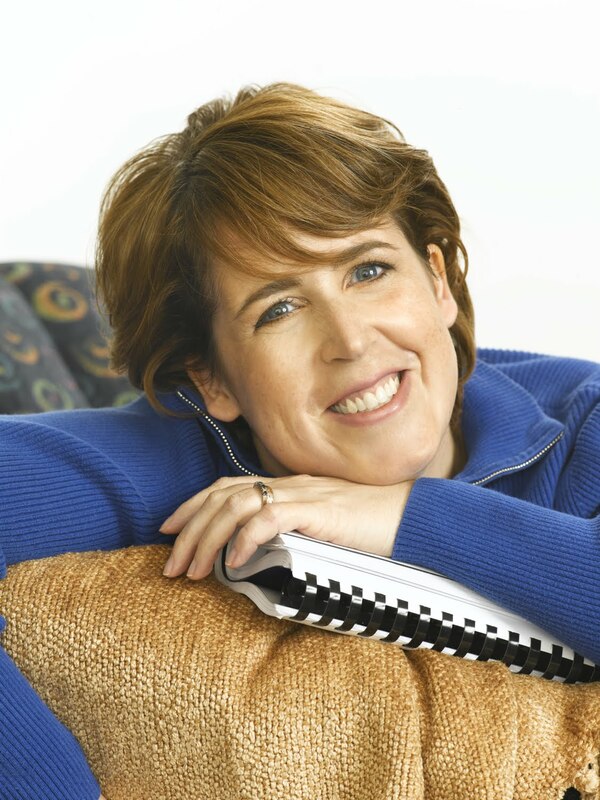 Her book, KAT INCORRIGIBLE, was released in the United States on April 5, 2011 and was released in the UK as A MOST IMPROPER MAGICK on August 1, 2010. I heard such great things about it when it was released and I knew I had to read it. I wasn't disappointed. I loved Kat, the main character, and the magical system Stephanie created. Katherine Ann Stephenson has just discovered that she's inherited her mother's magical talents, and despite Stepmama's stern objections, she's determined to learn how to use them. But with her eldest sister Elissa's intended fiancé, the sinister Sir Neville, showing a dangerous interest in Kat's magical potential; her other sister, Angeline, wreaking romantic havoc with her own witchcraft; and a highwayman lurking in the forest, even Kat's reckless heroism will be tested to the upmost. If she can learn to control her new powers, will Kat be able to rescue her family and win her sisters their true love? Hi Stephanie. Thanks so much for joining us. 1. I know you’re from East Lansing (Yea Michigan!) but have traveled a lot. Tell us a little about yourself and how your travels have influenced your writing. I love East Lansing, and it will always be home to me, but as I grew up, I heard so many stories about the different countries my great-grandparents and other ancestors had come from. Learning about their childhoods in countries like the Ukraine, Croatia, and elsewhere, along with their travels (many of them dangerous) across Europe and the ocean gave me a yen for travel from a very early age. When you add that to my love for nineteenth-century British novels (first sparked when my dad read me PRIDE AND PREJUDICE, when I was eight! ), and it’s not a surprise that I ended up settling in Europe as an adult! 2. That's so awesome that you live in such a neat place and can tap into your travels in creating your settings. KAT INCORRIGIBLE is set in the Regency era. What research did you do to create an accurate historical setting? Luckily, I’d always been fascinated by that time period, so I’d spent years reading biographies, diaries, and letters of Regency-era women just for fun long before I ever had the idea of writing Kat. By the time I actually started writing Kat, I had a really good grounding in the history, atmosphere, and society of the time period, so it was really just a matter of looking up all the thousands of tiny details that came up in the process of writing Kat’s stories. Then, to make absolutely sure I absorbed the right Regency voice, I spent ten minutes re-reading Jane Austen’s letters before every writing session as I wrote KAT, INCORRIGIBLE! 3. I loved how you incorporated a new magical system of the Guardians, Kat’s special magical object, and witchcraft. How did you develop your magical system and did any fantasy books you’ve read influence how you created it? Honestly, it was a really intuitive process…at least right up until the end of the first draft, when I had to make go through it with a fine-tooth comb and force it into consistency and internal logic. Since I’ve been devouring fantasy novels since I was a little kid, I’m sure they all influenced me at one level or another, but the basic impetus was just starting with the idea of an alternate Regency England where witchcraft was real and considered to be far too scandalous to be engaged in…and then wondering: if everyone knows about witchcraft, what kind of magic don’t they know about? Because you know that if magic were real, the kind everyone knows about could not be the only kind that exists! 4. I could so sympathize with how Kat yearns for an independence not allowed girls of her time and is actually quite self sufficient. What made you decide to develop her as a character like this and is there any part of yourself in her? In some ways, I feel awkward about claiming that I intended anything about Kat’s strength, because honestly she appeared fully-formed in my head, her voice and capital-A Attitude already VERY strong - but I’m sure that that happened because strong, feisty heroines have always been my favorite heroines, as a reader. And in a lot of ways, Kat is the girl I wish I could have been. Personally, I’ve always been shy and had trouble expressing how I really think if it might lead to any conflict, whereas Kat says EXACTLY what she thinks, no matter how controversial, and leaps head-first into danger! So it’s really cathartic for me to write about her adventures. 5. I' m shy too, but love to read about strong, assertive main characters too. Especially girls. Your book was published first in the UK with a totally different cover and title than in the United States. What went into the decisions regarding the different titles and covers and why was it released in the UK first? The British covers of my books have a different illustrator than either of the American covers, partly because the book is being published by two different publishers in the different countries, and partly because the audiences in the two countries really are so different in terms of what kinds of covers appeal. But the UK edition was published with the title I’d originally thought up for my American publisher, because it actually fit perfectly with my British publisher’s vision for the cover and audience. So it all worked out really well in the end, even though it wasn’t what I’d originally expected! 6. That's so interesting how it was supposed to be published here first. Your agent is Barry Goldblatt. Tell us a bit about your journey to find an agent and why you chose an agent in the United States since you live in Wales? Barry represents a lot of my favorite MG and YA authors, and his co-agent in the UK is a fabulous agent, Nancy Miles. So signing with him was perfect for someone like me who dreamed of being published in both countries - I got both Barry’s and Nancy’s enthusiasm and expertise! That having been said, like most writers, it did take me a long time to find an agent - about 9 months from start to finish. So it took a lot of stubborn persistence (and comfort chocolate) along the way! 7. What was your marketing strategy when your book first came out in the UK and did you change it at all when your book was released in the United States? Are you doing anything differently for your second book? I have been able to do in-person visits to schools and bookstores here in the UK, though, as well as leading writing workshops for kids and appearing in various author events my publishers have scheduled for me. That part is so much fun - I *love* meeting readers in person! 8. I wouldn't have guessed that book trailers would be more popular in the United States. It's something we should all keep in mind if we get published in the UK too. Your sequel, RENEGADE MAGIC, will be released in the United States on April 3, 2012 and is being released in the UK as A TANGLE OF MAGICKS today. What advice do you have about writing a series? My series is one where each book is meant to stand on its own as a self-contained adventure (although of course there is character development across the series), because that’s the kind of series I really love to read. The hardest part is always the beginning of each new novel, where you have to figure out just exactly how much information any new-to-the-series readers will need in order to be able to enjoy the action and understand what’s going on. The most important thing is just to focus on the essentials - they don’t need to know everything that happened in the last book, only what actually impacts the beginning of this book! Sometimes that’s hard advice to follow because I want people to know about all the cool stuff that happened in the last book…but honestly, that just gets in the way and makes new readers feel frustrated that they might be missing something important. 9. Knowing how much backstory to share is always hard for me to figure out. Thanks for the tip. What are you working on now? Good luck Stephanie. You can contact Stephanie and read the first chapters of both books at her website and visit her at her blog. Stephanie's publisher, Attheneum Books for Young Readers, generously donated a copy KAT, INCORRIGIBLE, for this giveaway. To enter the contest, all you need to do is be a follower (just click the follow button if you’re not a follower) and leave a comment by midnight on August 13th. I’ll announce the winner on August 15th. I'm going on vacation on Wednesday so will probably be offline while spending time with my family. Next week I'll be doing a regular blog post. And I'm doing an interview with debut author Jonathan Auxier on August 10th--his birthday--and giving away a copy of his book PETER NIMBLE AND HIS FANTASTIC EYES. On August 15th, I'll be interviewing a teen in high school for my ASK THE EXPERT SERIES. And on August 22nd, I'm so excited to interview Kelley Armstrong and give away a copy of her book, THE GATHERING.